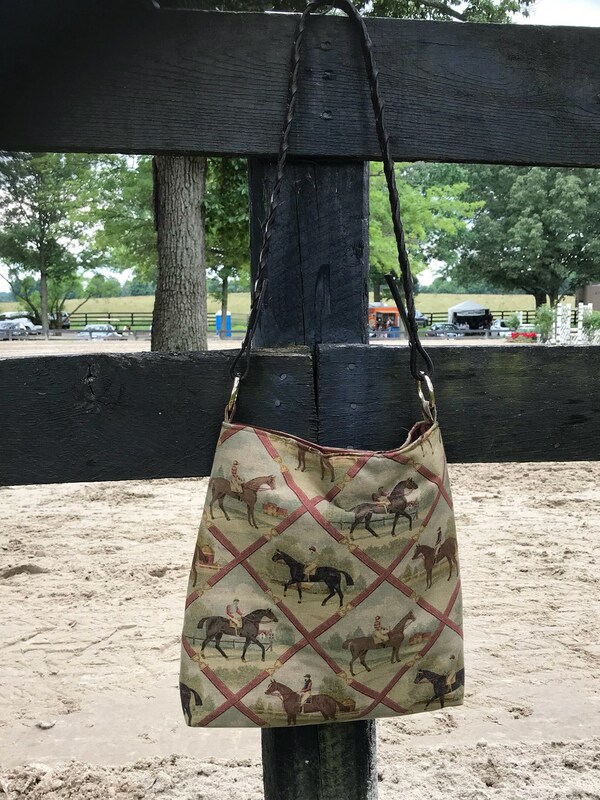 This amazing bag depicts turn of the century race horses and jockeys in subtle earth colors. 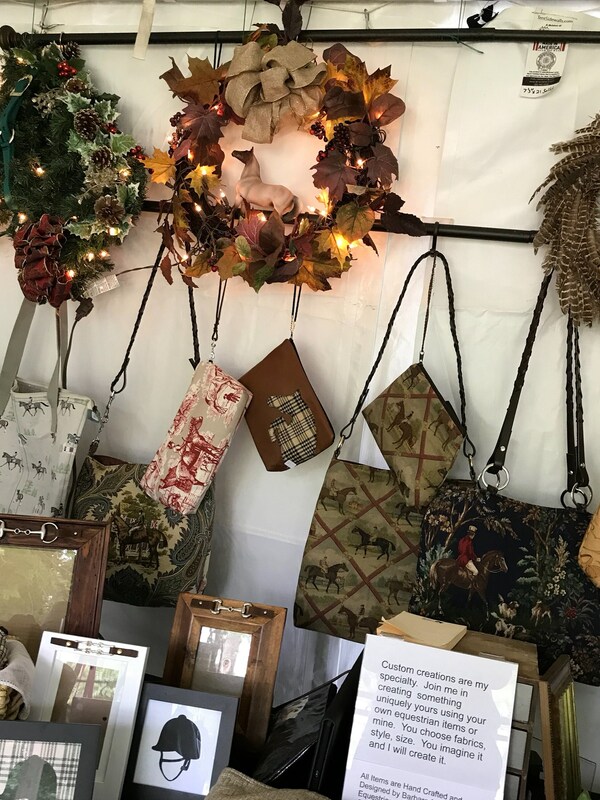 The fabric hails from England and is a sturdy upholstery weight cotton that is treated to be stain resistant. This bag measures 16x10. It has a brown laced rein for the shoulder strap attached with a stainless steel Chicago screw. The inside has massive storage with separating compartments, zippers, slip pockets and cell phone pocket. It closes with an extremely strong magnet covered in brown leather. 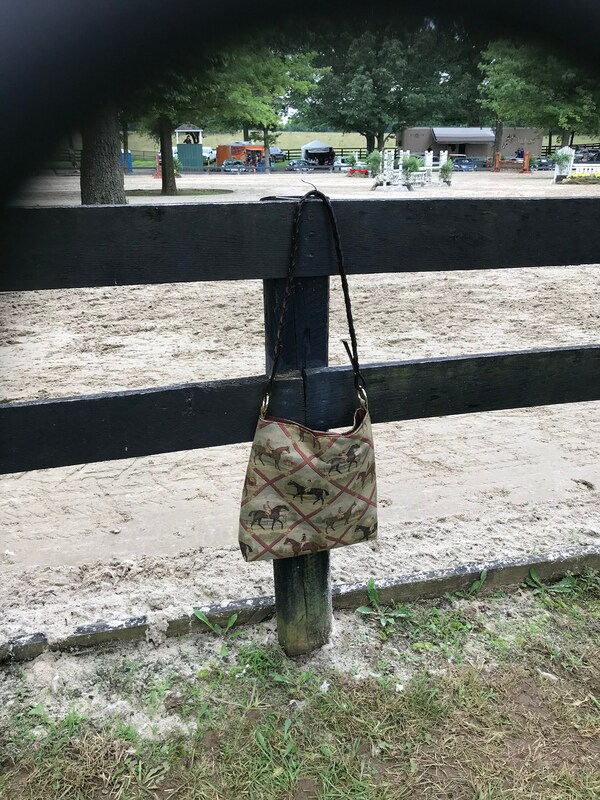 This bag will be your go to bag for everyday use, horse shows and travel. The bag is ready to ship. 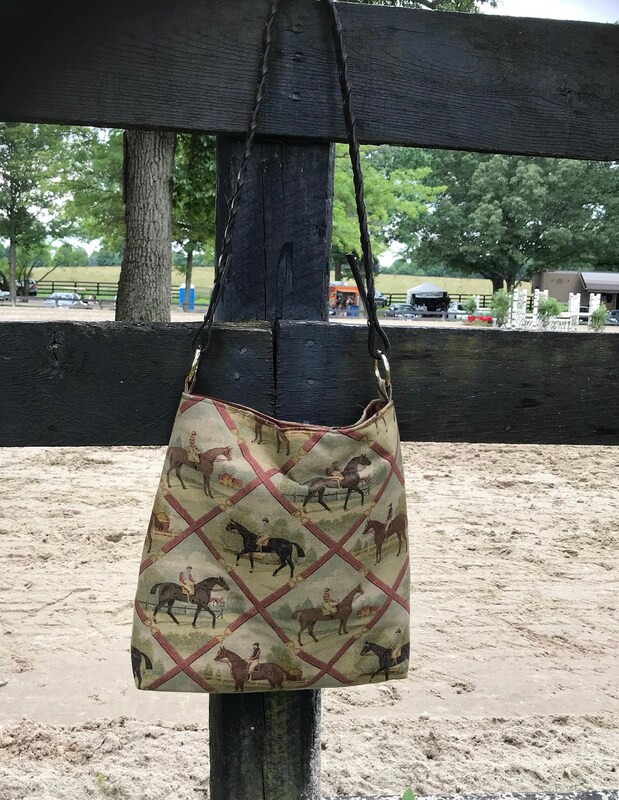 This purse is a great gift for the equestrian in your life or a gift to to yourself.